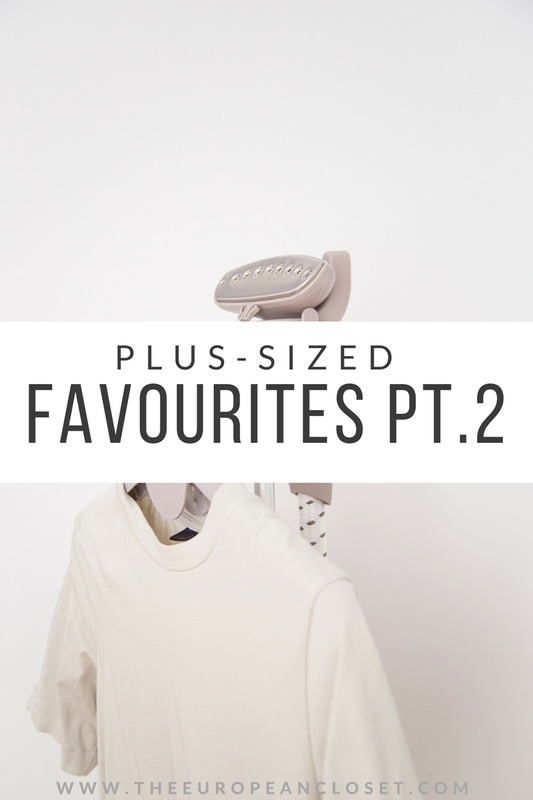 As I mentioned in Monday's post (if you haven't read it, here it is) here I am with part 2 of my 'plus-sized favourites' series. Once again, I've partnered up with Rosegal to show you my favourite plus-sized dresses and how I'd style them. First off we have casual dresses: those dresses you can wear pretty much anywhere. 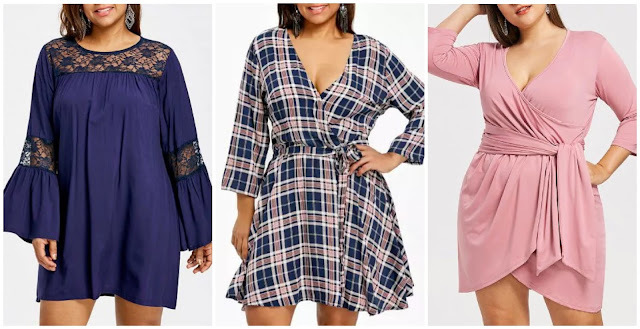 Rosegal has a big selection of casual dresses you can choose from, whether you're looking for sweater dresses, chiffon dresses or cotton dresses. Here are my top three favourite casual dresses I've chosen. Firstly I choose this dark blue dress with lace details. I was drawn to this dress because of its flare sleeves (I think it's pretty obvious by now that I have a thing for flare sleeves) which give the dress a more hippie look. This dress would look great with some flat sandals or loafers and a small minimal bag. The second dress I chose has a very trendy pattern: check print. 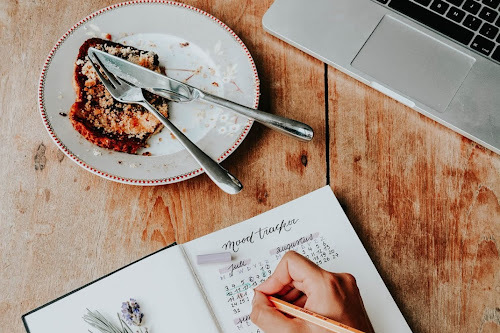 I loved the colour of this dress: we're so used to only seeing check print on winter clothes but using bright colours other than grey make the pattern more appropriate for spring. I think this dress would look great with some espadrilles and a straw bag or if you want to wear it in a more formal setting, pair it with some strappy sandals and you're good to go. The third dress I chose if probably my favourite of all. I love this shade of pink and I love wrap dresses so this is the perfect combination. I'd pair this dress with some cute flats and a small white crossbody bag. 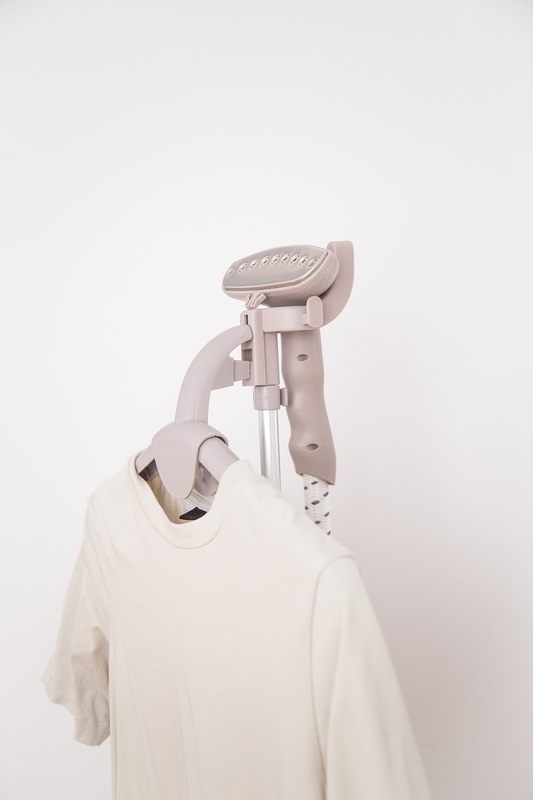 We've been seeing vintage items making a comeback in the last year or two which can be great for people who like to keep every piece of clothing they have even if they haven't worn them in 10 years (hi mum). However, for those girls who just give/throw away things they don't wear anymore but now what some kind of vintage dress, Rosegal has got your back. they have got a whole vintage section with a ton of dresses you can choose. Here are my favourites. I love gingham so this first dress was an obvious choice. This dress reminds me so much of the 60's era. I'd pair it with white sandals and a cute little bag. 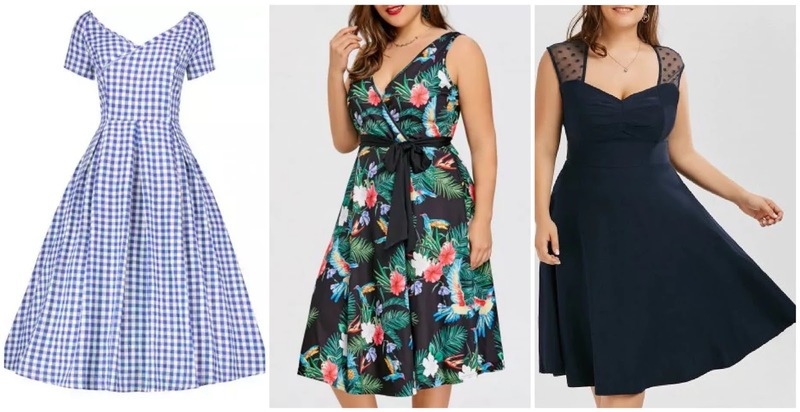 The second dress I choose doesn't really have a vintage print but I couldn't help but choose it because I just find it so cute for summer (the cut is kinda vintage though right?). This dress would look great with some green, pink or blue stilettos to match the pattern. The final dress is a more simple one, only having a cute sleeve detail.I think this is a great dress to wear to a wedding. I'd pair this with some minimal heels and a silver clutch.